Whey Protein Isolate is an ultra-fast absorbing source of protein. Also known as WPI it’s a high quality protein, very low in fat and low in carbohydrates. 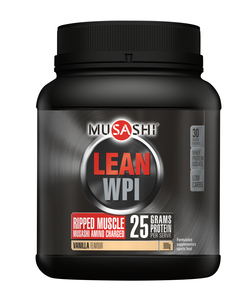 WPI is great for anytime of the day, especially as a post work-out protein shake as it is rapid absorbing. Whey Protein Isolate is different to your standard Whey Protein because it is filtered to remove the lactose creating one of the purest proteins available. Whey Isolate has a complete amino acid profile and is super easy to mix. Buy Whey Protein Isolate Protein Powder at the best prices from Bodybuilding Warehouse NZ.